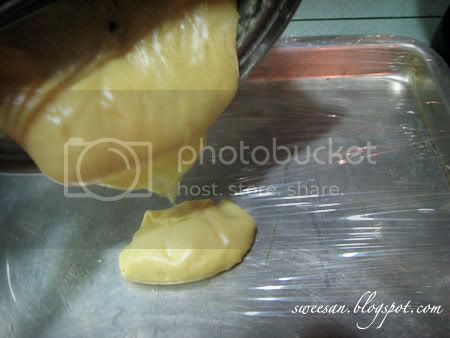 Cream patisserie is a rich, thick custard made from a mixture of milk, eggs, sugar, flour / cornstarch that is cooked over stove. It’s quite a staple cream in pastry kitchens, used to fill cakes (like Boston Cream Pie), cream puffs, eclairs, napoleons, mille feuille, fruit tarts and other pastries. Vanilla beans, liqueurs, chocolate, coffee and fruit purees are some complementary flavourings added to the cream. Whipped cream may be added to cream patisserie for a lighter cream. 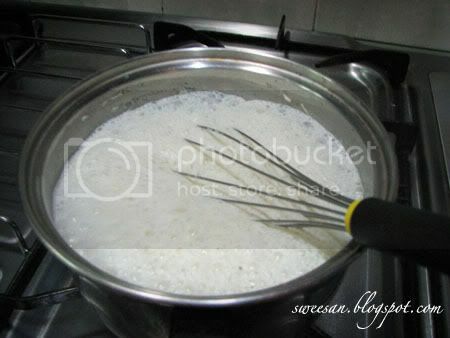 Boiled milk is added gradually into the egg mixture to ensure the eggs will not cook immediately. When the whole mixture is cooked over stove, low heat is much preferred to prevent burning and overcooking of the cream. #2 Scrap beans out with the tip of knife. The brown parts are the skin, hence there is no need to scrap too hard. 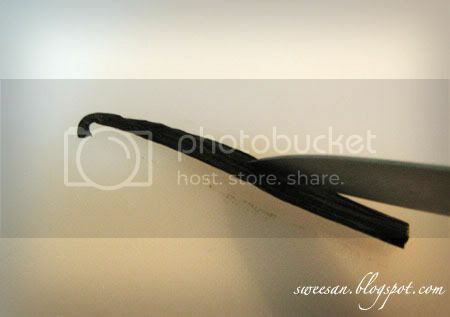 #3 Continue scraping till u get most the beans. 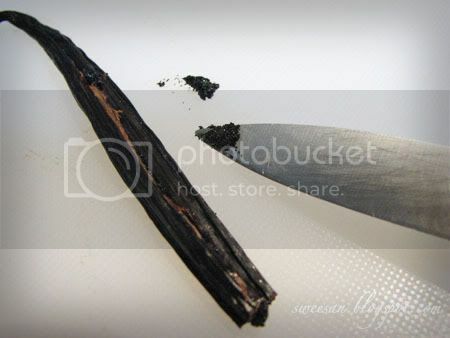 If vanilla beans are not used, vanilla extract can be substituted. #4. 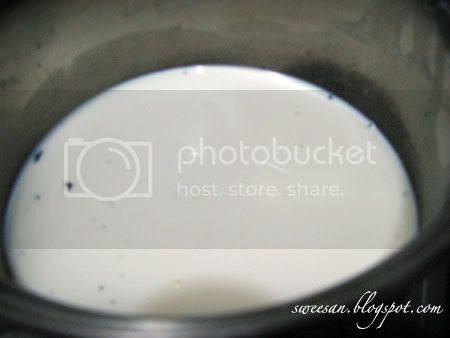 Add vanilla seeds and pod into saucepand with milk. Bring to boil. 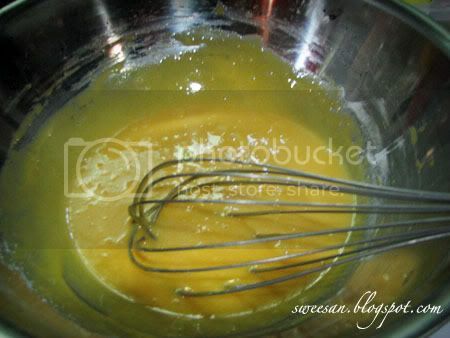 #5 In a separate bowl, beat egg yolks and sugar tugether until mixture is light yellow. Add flour and mix well. Set aside. #6 Bring milk to rapid boil. Turn off heat. #7 Gradually pour in milk. 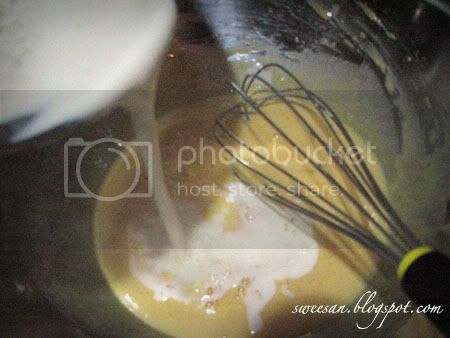 As the milk is pouring, whisk the mixture to prevent eggs from scrambling. 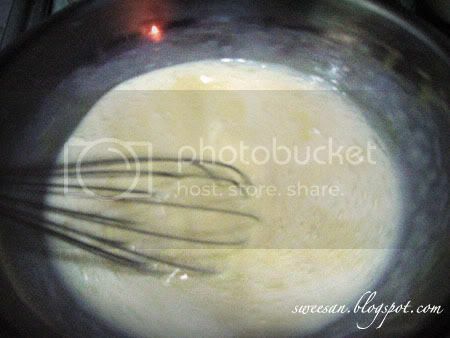 #8 Continue whisking till all milk and egg mixture are well combined. Vanilla pod may be removed at this stage but I prefer to not remove it and leave it in to cool to infuse more of the flavour. #9 Return egg and milk mixture back into saucepan and bring to boil over medium heat stirring constantly to prevent burnts. 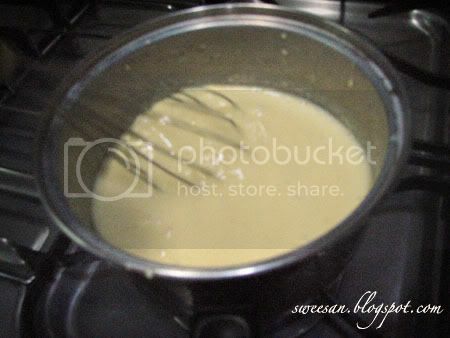 #10 Continue stirring until mixture becomes smooth and glossy like picture above. 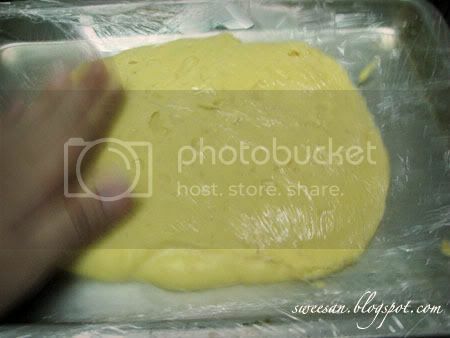 #11 Transfer pastry cream to a tray and covered with cling film. #12 Cover the top with cling film and chill in the freezer or fridge till it’s set. It will be a little bit like pudding once it has set. 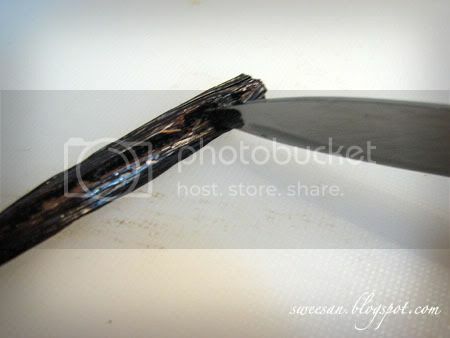 To use, whip it up with a whisk and discard vanilla pod. 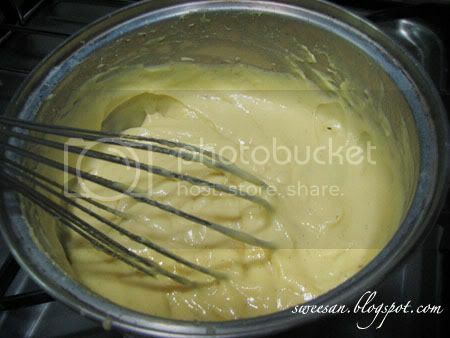 Cream patisserie are best used immediately on the same day once it has be whisked. When it is still at the pudding stage, it can be kept for 3 days in the fridge.